Gulf Shores Boat and Paddlesports Rental: Wondering where to watch a sunset in Gulf Shores? We can help! 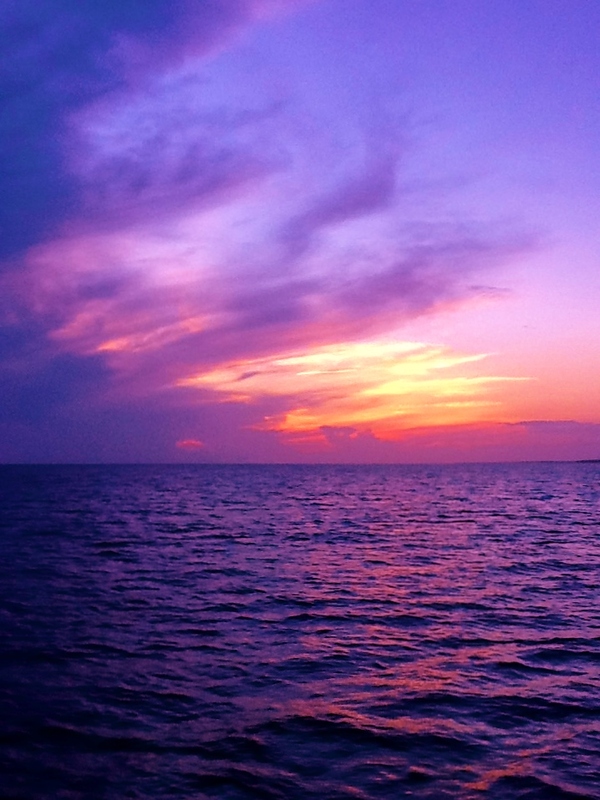 Wondering where to watch a sunset in Gulf Shores? We can help! during a private sunset cruise. Because the beaches in Gulf Shores, Orange Beach and Ft. Morgan run east and west, the sun sets behind the condos when you're watching from the beach. Its still beautiful, of course, but you don't get a view like the one pictured here. This photo was taken last night (7/16/13) during our private sunset cruise. We take you and your family (or group) westward down the Intracoastal Waterway into the mouth of Mobile Bay, where you'll get an unobstructed view of the sun setting over the water. Plus, you'll have an excellent chance of enjoying your sunset while dolphins play near the boat! Contact us today to reserve your private cruise! We also offer: Sunset cruises in Gulf Shores; cocktail cruises in Orange Beach; picnic cruises in Gulf Shores; dinner cruises in Orange Beach; wakeboarding and tubing trips in Gulf Shores; paddle board rental in Gulf Shores;and pontoon boat rentals in Orange Beach. Amber Alexander Miles said: "Amazing experience! Scott made us feel right at home. I highly recommend an evening cruise! We saw tons of dolphins, and the sunset was nothing short of amazing! The experience of a lifetime!" Derick Swinehart said: "Absolutely amazing!! We really enjoyed the personalized experience! Scott could not have painted a better sunset or filled our trip with more Dolphins!! Highly recommend this trip to anyone!! Awesome experience! 5 out of 5 for sure!!!!!" Stacy Prince Schick said: "Our paddleboard is great. Scott delivered it right when we scheduled and was very helpful and answered all our questions. Would highly recommend Scott and will be using him again on our next trip." Kim Bell Miller said: "We just got off a 2 hr cruise through the Intercoastal Waterway and some of the back bays... Sooo beautiful and relaxing. We saw some dolphin and stopped at Pirate's Cove. Our Captain, Scott, was great! Thanks, Scott, for a wonderful trip. See you again next year!" Mike Keen said: "Our experience was top-notch. Our paddle boards were brought right to our location on the lagoon which was super convenient. The gear was in new condition and great quality. Scott, the owner, showed up right on time and helped us out to get started since we were complete newbies. Great instruction. Also gave us some great tips on good locations. We saw so much wildlife in such a short time. Thumbs up!" We are looking forward to making your stay one to remember! Make your reservation for a private boat rental today! (c) 2013, 2014, 2015, 2016, 2017, 2018, 2019 Gulf Shores Boat and Paddlesports Rental. Travel theme. Powered by Blogger.